The New Standard of ER Care? Marik is no loose cannon. Even skeptics of his results acknowledge his expertise. He has authored more than 400 medical journal articles and four books, including a critical care textbook—together “an extraordinary contribution to the literature in critical care,” says Dr. Craig Coopersmith, a leading sepsis researcher at the Emory University School of Medicine. Any patient can demand Vitamin C now, or tell the doctor/hospital to face the legal consequences. The Studies Are In – Marik’s Is Correct. The nay sayers had said, we can’t risk it before we know it works… This could be a fluke.. lets wait for follow-on studies before we try to save 1500 lives per day. Its been over a year now, and not only has Marik’s work been confirmed and replicated multiple times, some of these researchers are trying to take credit! Author Saves His Own Life Using Marik’s Discovery – and his Own. The world is about to change almost over night. A new TV show in the USA (TIMELESS) provides a history lesson every show. The latest show (last Sunday night) reminded me that my own rare health condition is the same condition former US president John F. Kennedy Jr. suffered most of life. John F Kennedy lacked, and I lack, the ability to make an adrenal hormone called cortisol. If Kennedy didn’t get his cortisol (hydrocortisone is the bioidentical molecue), he’d soon be near death. (Kennedy’s condition was kept secret, and his was more severe, called Addison’s disease because he couldn’t make other hormones. I grant him that, but I never got to sleep with Marilyn Monroe). And the important news that what I, the late Kennedy, and a lot of other sick people require is defective in USA hospitals, almost randomly, suggesting a serious manufacturing error. The supply of Cortisol (Solu-Cortef) in hospitals – right now – is not reliable. HMMM! Seems your not alone! 4,156 people reported to have side effects when taking Solu-cortef. 6,401 people reported to have side effects when taking drugs with ingredients of hydrocortisone sodium succinate. Where you given or taking metformin while you were in the hospital and they gave you this IV of Solu-Cortef? We don’t know yet if this is deliberate sabotage to derail Marik’s work by hurting his reputation among ER doctors around the USA, or simply a quality control issue because most medication these days is made in China without any American added on quality control. Well last weekend I (Owen Fonorow) almost died.. Long story, but when my own endogenous cortisol wasn’t working.. My lungs were cramping.. (I had already gone to the ER – and they wouldn’t admit me the day before) Then I remembered the Paul Marik, MD Sepsis cure includes vitamin C – because the cortisol receptors get oxidized. I REMEMBERED I HAD WRITTEN A DAMN PAPER ON THE BIOAVAILABILITY OF VITAMIN C SHOWING IT ORAL CAN REACH HIGHER THAN IV/C LEVELS IN THE BLOOD. I KNEW HOW TO GIVE MYSELF MY OWN IV VITAMIN C – ORALLY! 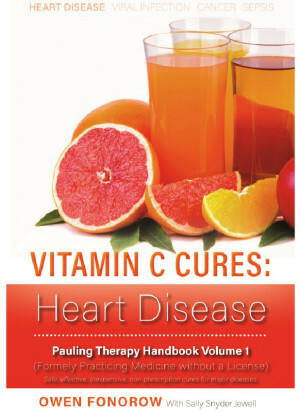 I used the knowledge in that paper to save my own life last Sunday..
We applaud Dr. Paul Marik for putting is patients first and giving Vitamin C a try when other medical doctors won’t. However, as he says, he didn’t “find” the cure, it was “found” in 1949 by Dr. Frederick Klenner, MD. Marik’s invention of adding cortisol (and then Thiamine, vitamin B1) is brilliant. Given the research papers cited below, minus any other options, doctors that ignore Marik would rather see 1000-1500 people die every day, rather than even try vitamin C.
Sepsis kills about 1,400 people a day worldwide and is the second-leading cause of death in intensive care units in Canada. Despite intense research, the death rate remains high, between 30 and 50 per cent. Treatments largely consist of surgical removal or drainage of the infected site, antibiotics and supportive care. “The lack of therapies is not for want of effort. On the basis of promising in vitro and animal studies, many drugs have entered clinical trials only to fail, resulting in the description of sepsis research as a ‘graveyard’ of discovery,” said Dr. Lee, a critical care physician and researcher in the hospital’s L Ka Shing Knowledge Institute. The impact of ascorbate administered orally is moderate because of its limited bioavailability. However, intravenous injection of ascorbate raises plasma and tissue concentrations of the vitamin and may decrease morbidity. In animal models of polymicrobial sepsis, intravenous ascorbate injection restores microvascular function and increases survival. Therefore, it may be possible to improve microvascular function in sepsis by using intravenous vitamin C as an adjunct therapy. 13 December 2010 (Paper Received): Intravenous ascorbic acid to prevent and treat cancer-associated sepsis? The history of ascorbic acid (AA) and cancer has been marked with controversy. Clinical studies evaluating AA in cancer outcome continue to the present day. However, the wealth of data suggesting that AA may be highly beneficial in addressing cancer-associated inflammation, particularly progression to systemic inflammatory response syndrome (SIRS) and multi organ failure (MOF), has been largely overlooked. Patients with advanced cancer are generally deficient in AA. Once these patients develop septic symptoms, a further decrease in ascorbic acid levels occurs. Given the known role of ascorbate in: a) maintaining endothelial and suppression of inflammatory markers; b) protection from sepsis in animal models; and c) direct antineoplastic effects, we propose the use of ascorbate as an adjuvant to existing modalities in the treatment and prevention of cancer-associated sepsis. Your website will enrich with the truths of the web market, without forgetting to despise the lies as well.